I drive 30 minutes each way to work and back. When I grew tired of hearing the local morning show make prank calls, I tuned in to the sports talk channel. We've got all the major sports here in Atlanta: the Braves for baseball, the Falcons for football, the Hawks for basketball, and the Thrashers for hockey. But the comments and opinions grew endlessly repetitive. Next I switched to political coverage. I grew frustrated with the contradictory information being offered from one host to the next. So with an hour of drive-time each day, where did I turn? I found that I can finish an audiobook in about a week. And I'm not worried about missing details because it's not hard to recycle the book and listen to it again the next week too. In my experience, the best audiobooks are popular level books. These include books by Andy Stanley, Rob Bell, Eugene Peterson, and Mark Batterson, just to name a few. The more academic books are not impossible to follow, but it sure helps to have the paper book in front of you while the narrator goes along if you really intend to grasp the arguments being put forth. I discovered this to be true for most books by N.T. Wright, John Piper, Dallas Willard, and John Stott. As for Bibles, the same principle holds true. I have several audio versions of the Bible, but the one I enjoy most while driving is The Message. For a more "storied" version of the Bible, check out the audio version of Hurlburt's Story of the Bible from ChristianAudio.com. 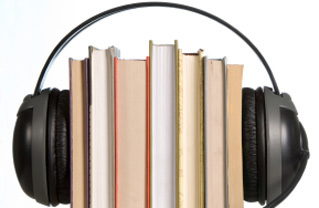 Have you ever listened to audiobooks? What's your opinion?